Seattle Opera Blog: Our 2013 Ring, Now on CD! Our 2013 Ring, Now on CD! General Director Speight Jenkins (who steps down this August after three decades at his post) felt the production was some of the company's best work. 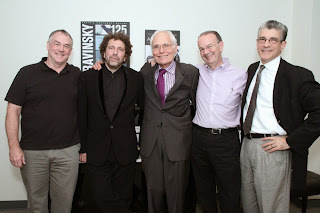 “By every measure: voices, orchestra, drama, audience excitement, I truly feel that the 2013 production was the best Ring I produced in my 31 years with the company," he said. Speight is thrilled that the recording will, in a way, preserve this memorable show. He explained that the state-of-the-art technology used in recording the 2013 production does justice to what audiences heard in McCaw Hall. The 14-CD box set of this live recording includes a 54-page booklet featuring full-color production photos, essays, and artist biographies, as well as four separate libretti of the four operas in the original German with Stewart Spencer’s English translation. The entire package is available for pre-sale exclusively at seattleopera.org/RingCD starting June 25, and retails for $150. If you want to support Seattle Opera, please pre-order! Your Ring CD set will be shipped in August. The commercial release, including for iTunes, is set for September 9. The iTunes release will be mastered for iTunes and offered as an interactive LP with bonus visuals and content. Conducted by the great Asher Fisch, the recording stars Greer Grimsley, Alwyn Mellor, Stefan Vinke, Stephanie Blythe, Stuart Skelton, Margaret Jane Wray, Richard Paul Fink, Daniel Sumegi, Andrea Silvestrelli, Dennis Petersen, and many others, and features the Seattle Symphony and the Seattle Opera Chorus. 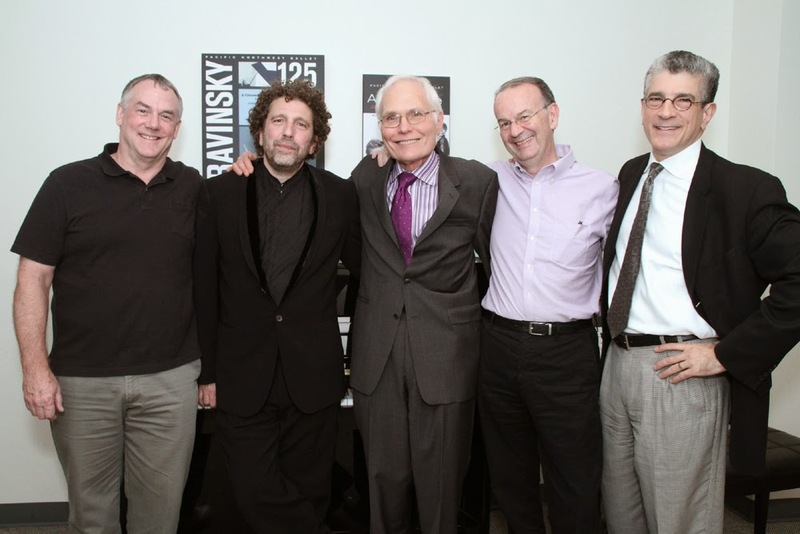 Evans Mirageas, Artistic Director of Cincinnati Opera, produced the recording. Mirageas said that being asked to assist Speight Jenkins, the technical team, and all the artists associated with Seattle Opera in this project was a dream come true. This Ring recording was made possible with the cooperation of Seattle Opera’s collective bargaining unions: American Guild of Musical Artists AFL-CIO; IATSE Local 15, 488 and 887; and the Seattle Symphony and Opera Players’ Organization, a chapter of the International Guild of Symphony, Opera, and Ballet Musicians. Seattle Opera would like to thank executive producers David J. and Linda A. Cornfield for their belief in this project. Recorded live at Marion Oliver McCaw Hall, August 2013, by Matthew Sutton & Rick Fisher; edited, mixed and mastered at RFI Mastering by Matthew Sutton and Rick Fisher. The 2013 Ring was made possible by the Valhalla Sponsor, Nesholm Family Foundation / John F. and Laurel Nesholm; the Festival Sponsor, Lufthansa; with additional support by the Carol Franc Buck Foundation. Not as a DVD? why? Seattle had the most awesome sets of any Ring for this production also, it blew away the Met's HD production, not saying you should have done it in HD, but just saying I want to see it again, it was so beautiful. Catherine, we appreciate your enthusiasm! 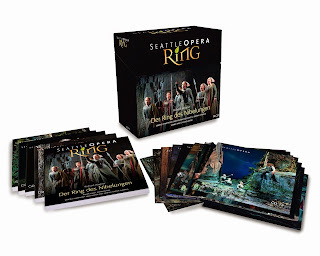 Seattle Opera did not make a DVD of the production, but its expert photographers, Elise Bakketun and Alan Alabastro, did a great job capturing the spell-binding beauty and passion of the show, and the CD set is lavishly designed and illustrated. Will this recording be released in high resolution (24 bit audio), either as a digital download or on SACD? "Mastered for iTunes" means there is high resolution version of the recording available. Will that be made commercially available, or is standard CD the highest quality to be sold? These performances were recorded in 24-96. The recording will also be offered as a hi-res download and stream. Will the recording be available in the gift shop after August? I ordered mine. Like others who have commented, I wish it were available in DVD. The Ring was realized splendidly in Seattle and I too am eagerly waiting to see if it will return. Any news on the 96Khz / 24 bit download?